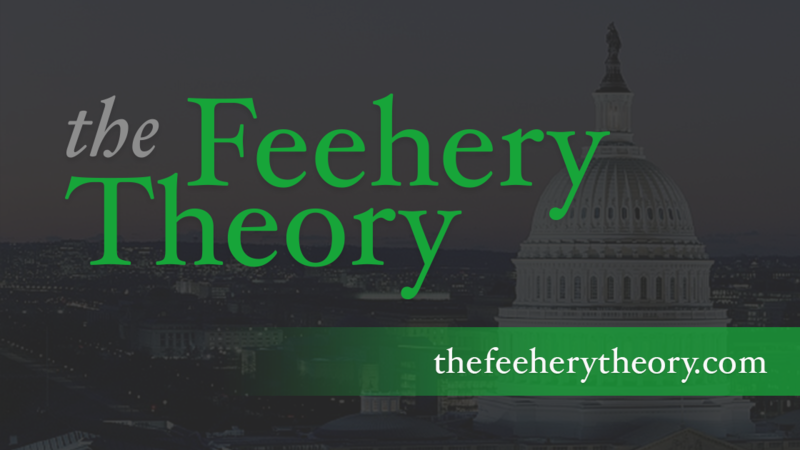 John Feehery's response to Debate on Health Care (Part 1): Should NOT be Repealed. It is a mish-mash of different legislative impulses. It is overly bureaucratic. It has already driven up the costs of health care insurance and made it more difficult for people to get jobs. 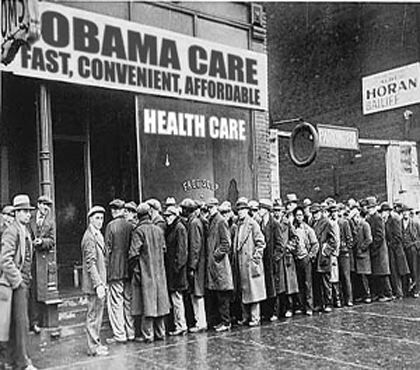 Mr. Obama, when he ran first ran for President, campaigned against the individual mandate. In fact, he attacked Hillary Clinton harshly for supporting it. But like most things with this President, what he campaigned on and what he actually delivered are two completely different things. There are two paths you can take in health care reform. You can have the government take over everything. Or you can apply marketplace principles to create greater competition, drive up quality and drive down costs. When government becomes the middle-man, costs necessarily go up. The system stops focusing exclusively on delivering the best product at the best price and it spends more time figuring out how to rip off the government. Obamacare tries to have it both ways. It tries to appear to use market principles, but the heavy hand of government intervention is omnipresent and distorting. Republicans have a good track record on health care reform over the last fifteen years, and should they succeed in repealing Obamacare, they should build on that record to replace it with a more common-sense approach. I worked for Republican leaders who led on health care. Denny Hastert, the former Speaker of the House, found a way to work with Ted Kennedy to get the first step in health care reform in 1996 two years before he became Speaker. Together, Hastert and Kennedy passed the Health Insurance Portability and Accountability Act, which made it easier to take your health care plan with you if you changed jobs. Hastert fought Kennedy tooth and nail on the issue of Medical Savings Accounts, which put more power in the hands of consumers. Kennedy did not want to give consumers the power to negotiate health care prices, which is why he opposed Hastert’s MSA’s. But Hastert prevailed and the first inklings of real health care market competition was born in HIPPA. I worked for Denny when he pushed through the Medicare Modernization Act, legislation that gave seniors greater access to prescription drugs. The MMA was another step in health care reform, because it gave seniors plenty of choices in what prescription drug plan they could choose and that choice allowed them to drive down the costs of the program. Medicare Part D, which was created by Hastert, is the most popular and most successful part of the Medicare program. Republicans wanted Obama to fail on health care reform because they fundamentally disagreed with his approach to the issue. Jim DeMint wanted Obamacare to be Obama’s Waterloo because he believed that this issue would expose President Obama for what he has turned out to be, a left-wing ideologue. DeMint was right. National revulsion to Obamacare led to the historic elections of 2010, where Republicans won more seats in the House than had ever won in one election. All because the President pushed through Obamacare. Once Obamacare is repealed, Republicans should work on a plan that better reflects a marketplace philosophy. First, they should tear down the wall that gives health insurance companies state-sponsored monopolies. Allow small businesses to pool together across state line in small business associations. That will lead to great competition. Second, they should enact fundamental medical malpractice reform that eases the liability costs for doctors. Third, they should encourage, through tax incentives, a greater embrace of new medical technologies. They should closely look at HIPPA to make certain that an undue concern about privacy doesn’t lead to greater medical errors. Fourth, they have to find ways to encourage doctors to stay in general practice, either through tax incentives or through student loan forgiveness. Fifth, they should greater encourage the use of nurse practitioners, who can handle easier cases and take the load off of doctors. They should do that by eliminating regulations that make it harder for them to give out prescriptions and otherwise do their job. On the issue of the uninsured, there is no way to make everybody get insurance in a free society. The very poor have access to Medicaid. Older Americans have access to Medicare. Folks in the middle who currently don’t have insurance will have greater reason to get health insurance when the price of health insurance goes down. And that will only happen with government mandates are removed and when greater competition across state lines is allowed to flourish. There are plenty of Americans who simply don’t want to pay for insurance, because they either can’t afford the high prices or because they think they are perfectly healthy and they don’t want to spend the money. In a free society, there isn’t much we can do to compel them. But we can create the right market conditions to drive down the price. Obamacare takes a heavy-handed approach to this problem. It creates needless bureaucracies. It imposes costly mandates. It kills jobs creation. And it will drive down health care quality, as more and more doctors decide to leave the profession to do something else with their lives. That is why this monstrosity of a law should be repealed and repealed quickly. And after it is repealed, Republicans replace it with a market-based approach that will lead to greater competition, greater choice, greater access and greater accountability.